Our life is full of trials and difficulties and we face a number of problems throughout the day. Modern day stress takes away all our energy and many times we don’t understand how to come out from such mundane and toll taking activities which we are no more interested in. 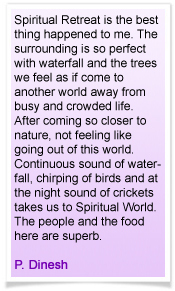 We feel controlled by the circumstances and our outer environment. We can’t even think that this can be changed. Many a times we think there is no option but to keep running in the rat race everyday where we don’t even have time for ourselves; where we can’t follow our dreams and there is no way to get out of it and achieve something or to do the things that we love to do. Friends, here is the solution to all these problems. We can change our circumstances and our outer environment and can live life of our choice. We can stop doing things that we don’t want to do any more and we can take charge of our life. We can pave the path on which we want to live our life. All this can be done by addressing our subconscious mind which is the creator of our life - The storehouse of our experiences, beliefs, emotions, decisions. It also contains memories and information from all of our past lives. In the words of the famous psychologist Carl Jung – The unconscious mind will contain deep seated and subliminal memories, thoughts, emotions, attitudes, opinions, convictions, values and beliefs. It’s a shadow land made up of repressions and subliminal perceptions. Our life is governed by all such things stored in our subconscious mind. When we look into it and either remove or change the information in our storehouse, our life and the experiences from it change as well. For example, in the past, you were enjoying a certain event with friends and family where you were extremely happy and suddenly an undesirable event took place and it turned that happiness into sadness or you lost a dear one in that incident. In such a scenario, your subconscious mind may have associated happiness with losing your dear ones. In such a case, your mind will always keep you away from experiencing happiness. Yes. We have to dissociate the two concepts of happiness and losing some one. We can do it by getting in touch with our subconscious mind by using Hypnosis and regression therapy. I have released so many of my fears, worries, sadness, heaviness, nervousness, hurts, hatred, etc. by using hypnosis and regression work. And I have also helped many people to change their life and take charge of their life by becoming a Clinical Hypnotherapist and choosing it as my career. It gives me tremendous satisfaction and a life of purpose. You, too, can experience it. You, too, can help and guide other as well as change your own life and the lives of your near and dear ones. This course offers the best opportunity to create a high profile career in the field of Hypnotherapy and Past Life Regression. Upon completing this course, you will be able to guide and empower people to take charge of their life and change it. You will be able to help them understand why certain things kept happening in their life, which patterns were governing their life, etc. The best thing is that you will also be able to heal yourself throughout the course and will be empowered to change your own life. This course includes many self-help techniques and practical sessions. It also includes many techniques and tools which will give you the confidence in dealing with a client’s problems and issues. This course is designed to give you all the in-depth knowledge that you require to become a professional Hypnotherapist. The advantage of completing this course with Jeevan Magick is that the Trainer, Ms. Archana Rajendra Kulkarni, has thorough knowledge, not only theoretical but also practical. She also believes in providing continued guidance and support to her students even after the completion of the course. Her aim is to expand this noble profession by creating more therapists. By sharing her knowledge and wisdom, she wishes to create a wave of awareness that people can come out of being a victim of the outer environment and circumstances, and can take charge of themselves to create the life they have always wanted. Her message to the world is – Change your inner world to change your outer world. Enroll for the workshop now and become a Clinical Hypnotherapist and Past Life Regression Expert. See below for course content. For more information contact the trainer. At the end of the 5th level, participants will receive Provisional Certificate for practice. After submission of 10 cases (5 audio recordings) and a written test, the participant will receive the final certificate. Level 1- Basics of Hypnotherapy and Self hypnosis – 3 Days. Level 2 – Age Regression – 5 Days. Level 3 – Past Life Regression – 5 Days. Level 4 – Grooming as a Therapist and Introduction to Chakras – 5 Days. Introduction to Pendulum – Its use for chakra Analysis – Demo and Practice session. Currently there is no Law in India governing the Practice and Teaching of Psychic Healing or Energy Healing as an Alternate Therapeutic Modality of Healing. This course is an attempt to form an alternative method for healing human life's issues. It is not intended at all to use it as a medical treatment or a substitute for that and we nowhere and in any manner claim it to be so. In fact we call it Healing and not Treatment. This is a privately certified course. As it is most of the courses calling themselves as Certified Courses hardly have any legal sanctity under the related laws of the states or countries. Even the affiliations shown actually have no real sanctity if you try to find the base organisation granting that affiliation as they themsekves are formed under some Societies Act or such acts which actually have no relevance to the courses on offer. But the people at large get easily misled by the words "Affiliates", "Certified", "Govt. Recognised" etc. We wish to be honest and clear in our intentions and hence do not advertise in any of these fake senses. Thus, ours is a Privately Certified Course. Important matter is that the Course design and the contents actually should be good and ours are one of the Best ! The knowledge and wisdom for all the three workshops forming the whole of the Course are well researched and are obviously based in ancient scriptures of the world, various texts and commentaries based on them, our own healing experiences of about two decades & our take aways from our knowledge and experience. 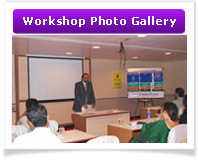 Each workshop is usually auto-customised based on the sunconscious needs of the attending participants. The basic skeleton is ready but the actual give aways differ every time as per the group's unconscious needs and as the masters guide us. But certainly many an issues of the attendees get healed although sometimes at a very subtle level. The overall contents undergo constant changes towards better based on new research findings. The intent behind the course creation is to bring out a near-comprehensive course on Psychic Healing. Creating the psyche of the healer and the healee. The details of the course will be uploaded later on. The purpose of this course is to learn to Heal Practically. To know the Trainer's profile pls. Click here. We conduct a two day workshop on Jose Silva's UltraMind ESP System. It shows you how to unlock the incredible powers of your own mind and also how to use them to connect to higher power, therefore obtaining the guidance needed to be successful, healthy, happy, and fulfilling. In this course you will learn a series of specific self-management techniques enabling you to eliminate impediments to your success, thereby empowering you to carry out your life's mission. While freeing yourself to these impediments, you will develop a specific plan to help carry out instructions received from higher intelligence, your higher power. 1. To use your God given intuition accurately and reliably. 2. To connect with higher intelligence who will always guide you in the right direction. 3. To prosper in business by being able to make better decisions. 4. To learn a mental video technique (use to better develop ESP). 5. Concentrate with total focus and clarity. A) Feel the intuitive surroundings. B) Improve you creative insights. C) Use you psychic ability to improve your life. D) Become a better clairvoyant. E) Make better decisions (for health, relationships and business). F) Improve your way of living. G) Receive guidance from higher intelligence. H) Create “good vibes” with anyone you meet. I) Learn to use psychometry to gather information. J) Discover your mission in life. K) Make all your relationships more fulfilling and meaningful. L) Get and stay healthier longer. M) Establish instant rapport with anyone you meet. N) Relieve stress and relax more easily. Intuition is a natural function - everybody has it. The key is learning how to use it accurately and reliably. To know the Trainer's profile pl.Click here. Who can attend Silva UltraMind ESP Workshop? Ans: Workshop can be attended by any one expecting the above benefits. When are these workshops usually conducted ? 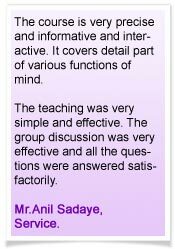 Ans: For the common benefit of the most, we conduct the workshop on week-ends. We are sure you will be a better person after you've learned Jose Silva's UltraMind ESP System. Click here to log in and send your details of Name, Contact No. Address etc. to us so that we will contact you in advance soon as the Workshop details are finalised. Welcome to the most ‘sought after ultimate workshop’ about Unlocking your ‘Intuition’ Powers ! Every Material & Spiritual gains in your life? The most successful scientists, great Authors, great Actors, Great Businessmen, and enlightened Masters? The people who have found their “Purpose in Life”? The healthy people who do not depend heavily on medications? The people who plan things in advance & in right direction and succeed? The CEOs who can crack the business opportunities as desired? The people who have empathetic and cordial relationships? The futuristic visualizers and business entrepreneurs? The Wise and most Loved people of the Universe? The barrier breakers who believe that there is literally no end to the transformations, solutions, successes and miracles that one can draw in one’s world? ………it’s their Powerful Intuition and their Trust on it. Do you now believe that You the Creator and Your Intuition is the King? If yes, Unlock your Intuition, Now! Your intuition is a phenomenal untapped tool ready and waiting to be harnessed! It will serve you in any and all areas of life be it health, relationships, career, business, money, personal growth, diet, emotional fulfillment and so on. Your intuition opens the doors to True Success; success that reflects and expresses your unique gifts, talents and potential and your soul's calling. Knowing that you are never alone, and are ever supported, guided and loved beyond measure! Before you see the Actual Photographs of the site of Spiritual Retreat at the end of this message, let’s understand a few really important things….. This frantic pace takes a toll on our bodies, minds, and spirits, making us weary and in need of rest. We rush from one thing to another, rarely pausing for reflection. Going on a retreat is a time-honoured custom that can bring spiritual renewal to even the busiest person. Who can benefit from the Spiritual Retreat? Those who are burned-out, emotionally drained, and physically exhausted. Anyone who feels over-burdened by obligations, uncertain of their spiritual direction, or merely swept away by the pace of life. What Happens at the Spiritual Retreat? 1. First and foremost, we are away from the routine world for a couple of days. 5. We relieve ourselves of blocked anger, guilt, agony, psychological pains etc. Be mentally prepared to apply for leave in advance and mark your diaries with this “3days Powerful Spiritual Retreat”, something that no one offers you. Understand and appreciate the difference between the usual tours for site seeing and this programme. Give us your three days, an Open Minded YOU and of course, considering what you get at Retreat – minor total charges of Rs. 9,000/- p.p. Since we are staying amidst the jungle, carry minimum baggage, containing clothes for three days, mosquito repellent, powerful torch and your essential medicines, if any. Call us Today & Book Your Seat NOW ! Jeevan Maggic conducts a one day Workshop on Self-Hypnosis. Self hypnosis is as natural as sleeping. In fact every one of us, including you, enters states of trance throughout every day. When you first wake in the morning and just before you go to sleep you are in a self hypnosis trance state. If you watch television, read a book, daydream or become engrossed in a task you are in a state of hypnotic trance. Self hypnosis is as natural to you as breathing! 6. Base for using Law of Attraction to get optimal benefit. 1. Change negative or inappropriate Behaviours. 7. Eliminate phobias and fears. Now that you have a better understanding of how self hypnosis can help you why not give it a try? You never know how your life could improve !!! To know the Trainer's profile pl. Click here.